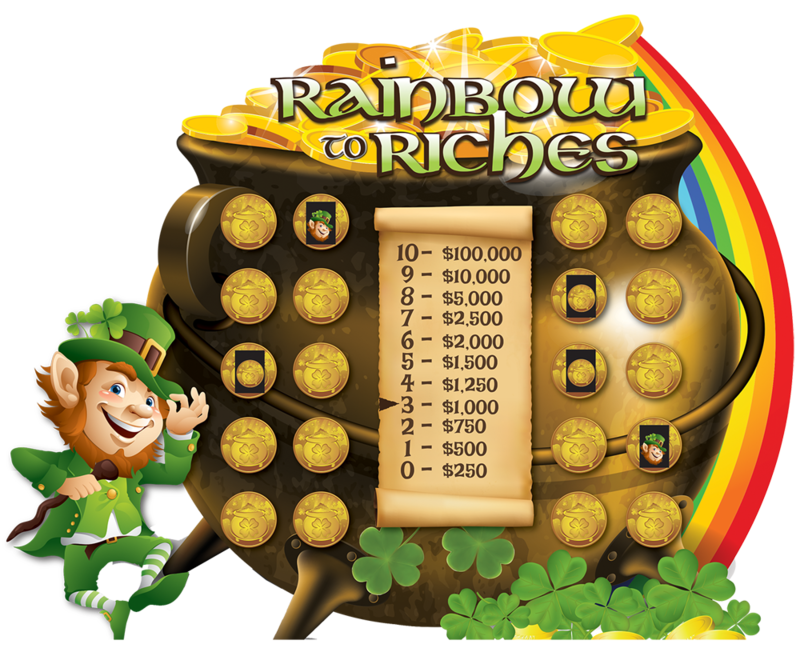 Celebrate St. Patrick’s Day with our Rainbow to Riches Game Board. 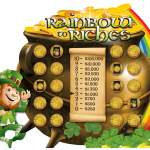 Players accumulate cash and prizes by revealing the gold coins in the leprechaun’s pot o’ gold. As the contestant reveals more gold coins (and avoids the pesky leprechaun!) he or she wins increasing cash prizes. Ten gold coins gives the contestant the whole pot o’ gold and the grand prize! 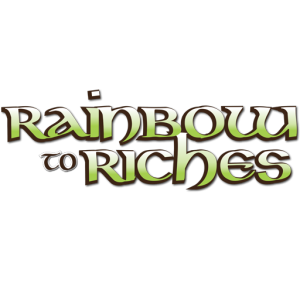 Drive holiday traffic and play for St. Patrick’s Day with Rainbow to Riches. We offer custom branding and flexible prize packages to fit your holiday marketing goals.